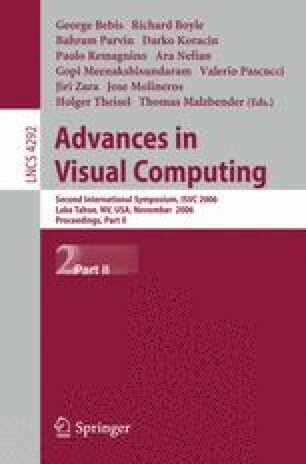 This paper presents a new motion estimation method aimed at crowd scene analysis in complex video sequences. The proposed technique makes use of image descriptors extracted from points lying at the maximum curvature on the Canny edge map of an analyzed image. Matches between two consecutive frames are then carried out by searching for descriptors that satisfy both a well-defined similarity metric and a structural constraint imposed by the edge map. A preliminary assessment using real-life video sequences gives both qualitative and quantitative results.